Step 1: Before you can start, you’ll need to either thread a dull needle (I’m not sure of the specific name, but I’m sure there is one) or just wrap some tape around the yarn or string from the tip to maybe an inch or two upwards, making it easier for children to grab it once they put it through the leaf. 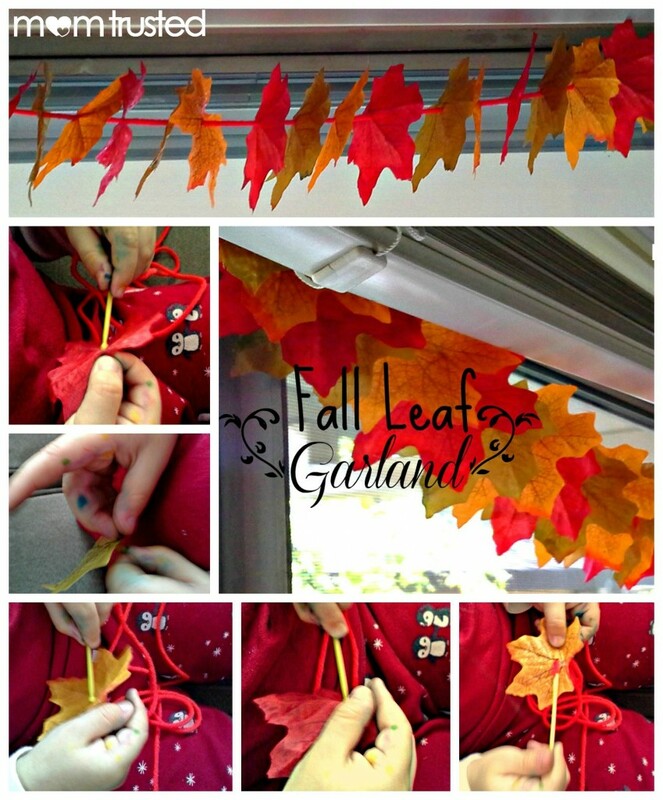 Step 2: One you have the yarn, string, or twine ready, you simply have the children push it through the fake leaves. 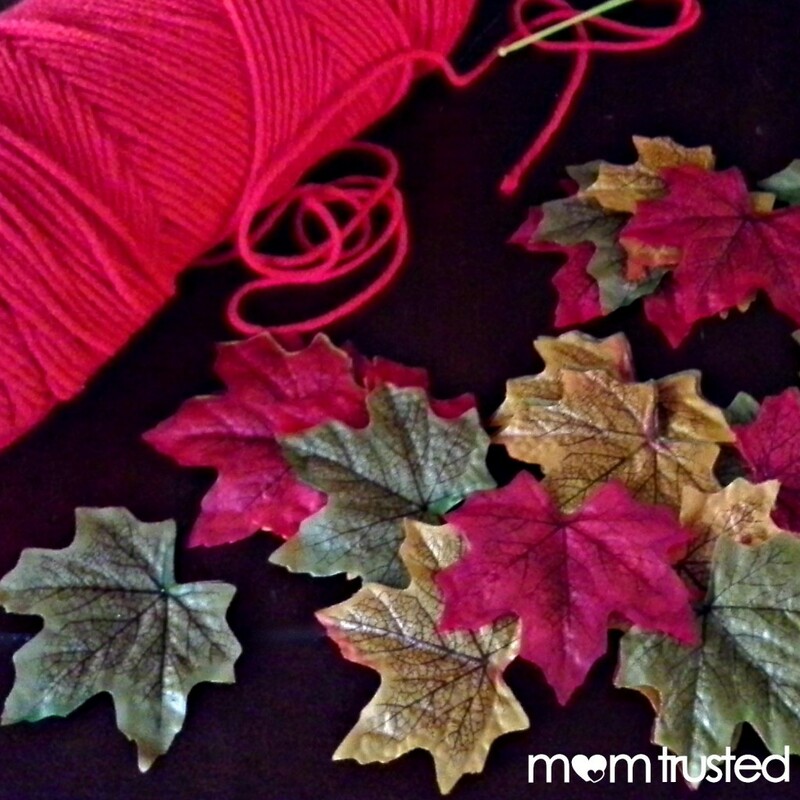 Step 3: Once your child threads as many leaves as s/he wants onto the yarn, string, or twine, it’s ready to hang. You can hang it up in a window, a mantle, or even around your door. Happy Fall! !